Rev. Bill Freeman addresses Holland City Council in June. 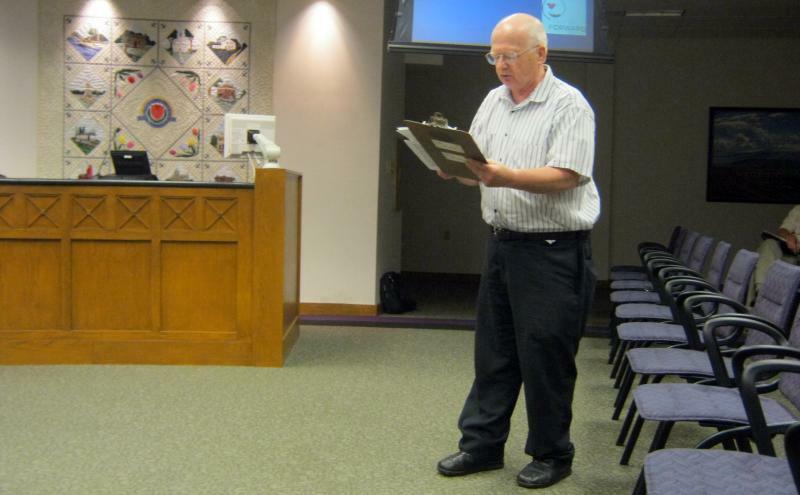 Reverend Ralph Houston reads Bible passages from a handout he gave Holland City Council members at a meeting in early June 2011. 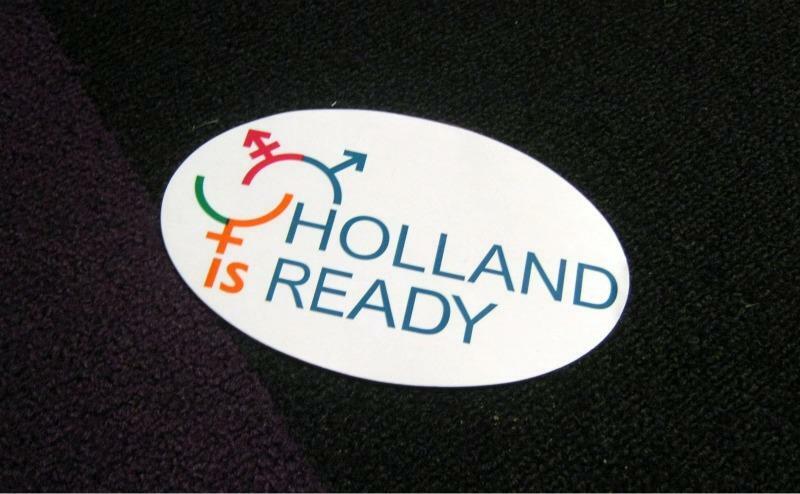 'Holland is Ready' bumper stickers and buttons were handed out at the door of Holland City Hall the day the council voted. Last month Holland City Council voted against adding sexual orientation and gender identity to their local anti-discrimination laws. But the fight over gay rights continues in the generally conservative town. The debate surrounds the City of Holland adopting local laws. These laws would protect people from getting fired or kicked out of their houses because they are gay or transgender. Federal and state laws protect people from discrimination – but not based on a person’s sexuality or gender identity. The debate is not technically about the morality of homosexuality. But in a community known for having a church on almost every corner – for many people in Holland that is definitely part of the conversation. 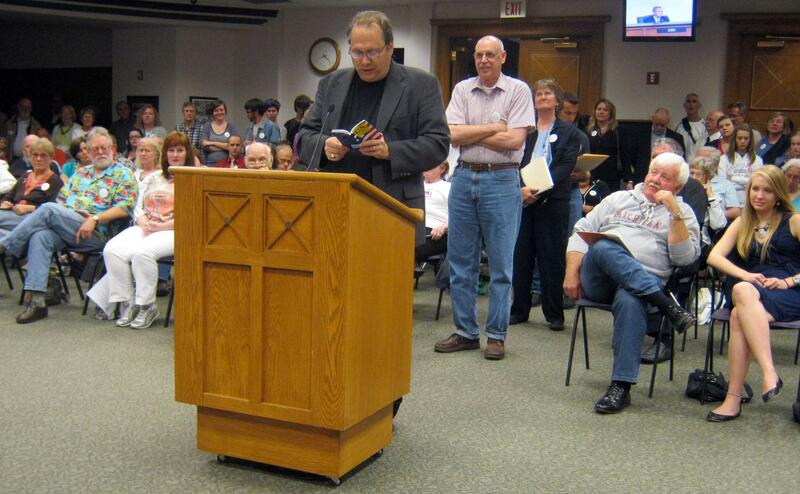 Holland resident Bob Ashby was 1 of dozens who spoke during a public hearing last fall. There’s a group boycotting the city for turning down the law. A ‘pro-family’ group is working to oust those who voted in favor of the measure. 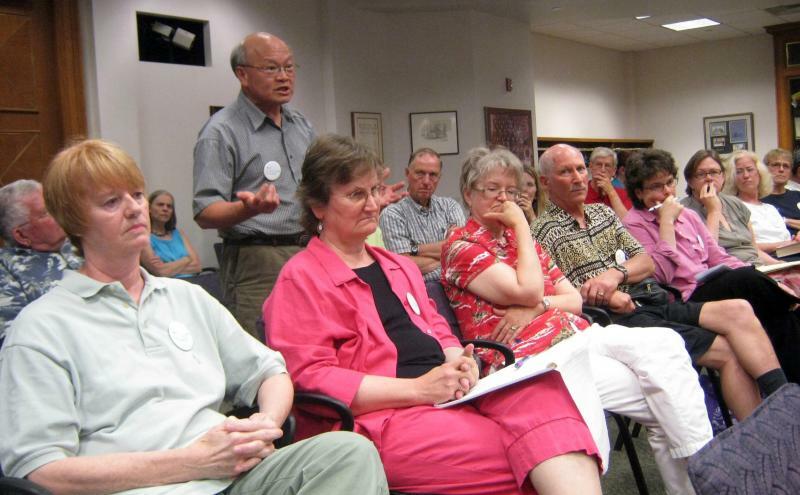 Another group is considering putting an initiative on the ballot in 2012. There’s Reverend Bill Freeman, the guy who petitioned city council to consider the changes more than a year ago. Now he’ll petition city council to reconsider their vote. The council voted 5 to 4 against the change so Freeman plans to go to every city council meeting until one of them changes their mind. He's not sure how long it'll take. Freeman is hoping to target some of the ‘no’ votes who said essentially that they support the anti-discrimination law, but feel it would hold more weight if it were passed by the whole community as a ballot initiative. That’s similar to what happened in Kalamazoo in 2009. Freeman thinks that’s sort of a cop-out. It’s unclear if any of the 5 who voted against the law will change their minds. Some I spoke with say they’d consider it, others would not. But it is clear that the discussion over gay-rights will continue in Holland. A few people wearing "Holland is Ready" buttons hug one another -- some are tearing up -- after city council voted 5 to 4 against the recommendation to adopt the proposed anti-discrimination laws. 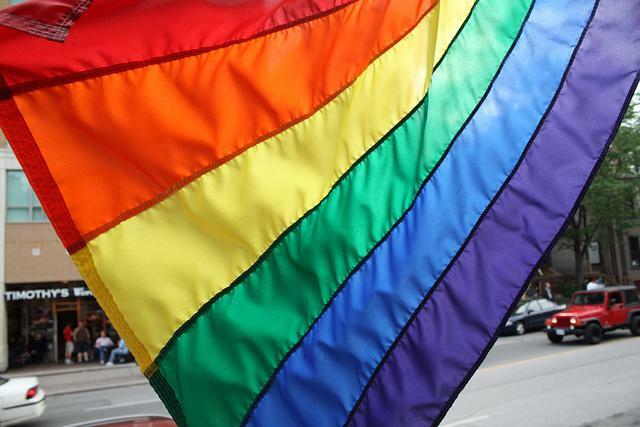 The recommendation included providing homosexual and transgender persons protection from employers and landlords who discriminate against them. An advisory board voted unanimously to recommend city council pass the measure Thursday night. The board has been studying the issue for months. They took it up at the request of Reverend Bill Freeman. The Holland pastor says those who spoke against expanding protections to those groups embody why it's needed. "I mean to be homosexual, or to be a lesbian or gay person in Holland - it would seem to be problematic. Because there are so many people who oppose them - oppose their existence," Freeman said.